Reading through the first page was a bit dull for me and I’m the type of person who likes hooks. I was falling asleep and the word choice was weird for me. It’s like I was reading Shakespeare all over again and had to somehow make sense of what Emily ST. John Mandel was trying to portray to us. As I continue reading, I noticed that Arthur, a actor, has just died while in the middle of a theater full of people. I was shocked that one of our characters dies so soon and I’m only on the fourth page. We don’t know much about Arthur other than the rumors spreading around him and it makes him sound like he’s a sleazeball. The narrator is in third person and for me I think that the main protagonist is Jeevan. He was unsuccessful resuscitating Arthur, has relationship issues with Lauren and he now has a drive to be a paramedic. Given the circumstances, being a paramedic would be a nice option but, while an epidemic is going on – I wouldn’t even consider going outside. I like Hua as a character. He works at a hospital and warns his good friend Jeevan to stock up. Some textual support would be “He thought of Hua as his closest friend, though they rarely saw one another” (Mandel, 17). Judging from his coughing and where he is right now, I am pretty sure that Hua will be our upcoming victim of Georgia flu and that he went out of his way to warn his friend, Jeevan. This reminded me of a popular TV series called The Walking Dead. The end of the world is happening and humans turning into zombies is sort of similar to what’s going on; everyone is dying whoever comes into contact with the person carrying the disease. 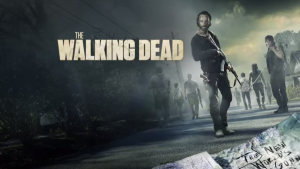 When Hua was talking about how the outburst broke out in the airplane; where a passenger carried aboard the Georgia disease, it reminded me of another zombie movie. 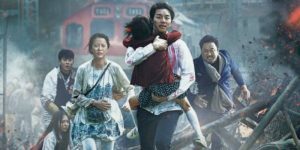 The movie is called Train to Busan and literally one person who was infected gets almost everyone killed. The passenger, who was infected couldn’t reply to the train attendant, died to the infection and started killing a majority of the people on the train. Jeevan wants what is best for Lauren and wants her to stay clear of the Georgia flu that’s going around. Lauren seems to be ignorant and unaware of those around her. “You’re not even listening. You never listen to me…” (Mandel, 24). Lauren ditched Jeevan at the theater and he was so worried about her. His world comes crashing down when he finds out that she left him at the theater because she was feeling “ill.” Jeevan alone had to help the dying Arthur and his dreams becoming a paramedic comes crashing down.Hopefully she doesn’t get a bad ending where she dies but, as a character she seems pretty unreasonable and that’s how people die on zombie movies. This book intrigued me and hope to find out more about the outbreak/epidemic that is going on. This entry was posted in Part 1, Station Eleven on October 4, 2017 by Adrian. 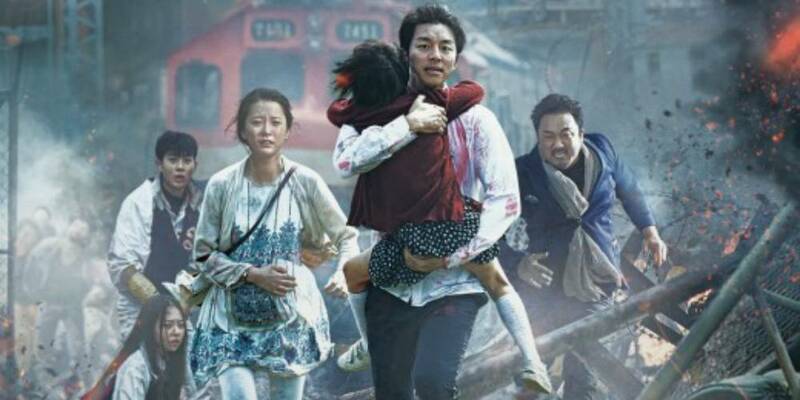 I think it’s really cool how you connected Station Eleven to Train to Busan, it’s one of my favorite movies.